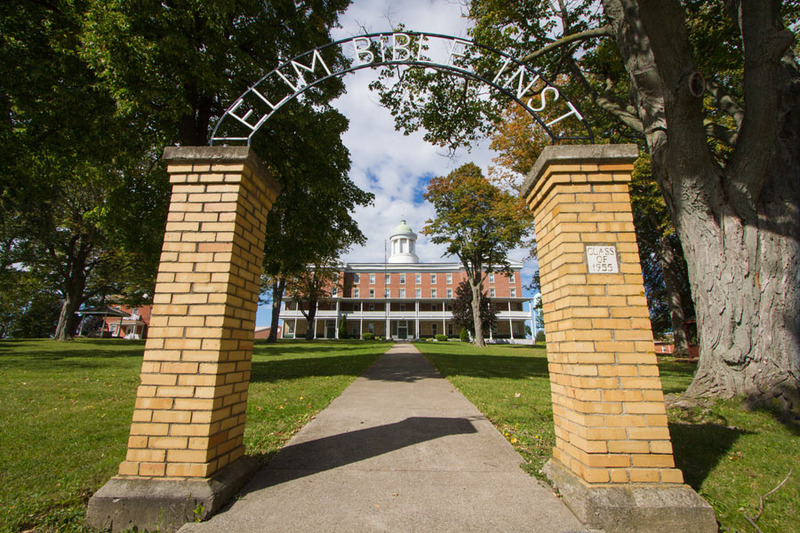 Listed in the National Register of Historic Places, this historic educational institution is located on a picturesque, hilltop campus in the village of Lima. It was originally established by the Genesee Conference of the Methodist Episcopal Church in 1832 as Genesee Wesleyan Seminary, a primary seat of learning in western New York. In 1951, the seminary closed and Elim Bible Institute acquired the property, which continues to be used for its educational programs. Distinguished by its massive, Greek Revival portico, College Hall (1851) is the centerpiece of the historic campus and unique in the region. This large building is in need of significant and costly repairs, presenting a major challenge to a small institution with limited funding. With its scenic setting and impressive historic buildings, the Elim campus and its buildings have potential for varied uses and investment that could help the campus remain a fixture in the community. The former Lehigh Valley Railroad (LVRR) Roundhouse site is located in a light industrial/residential area of the Village of Manchester. Constructed in 1916 to replace a previous roundhouse, this large horseshoe-shaped building, with a footprint of approximately 44,000 square feet, was once used by the railroad to service locomotives. By the mid-20th century, diesel locomotives had largely replaced steam engines and operations at the Roundhouse ceased in 1970. The property has sat unused in property tax default for more than 20 years. Local officials with the County, Town, and Village have identified this site and the Roundhouse as a key development opportunity. As one of the few remaining railroad roundhouse structures in the entire northeast, the LVRR Railroad Roundhouse is a highly significant and rare building type, with potential for future redevelopment. The Historic Hotel DeMay is the only surviving historic hotel building in the town of Greece. Constructed in 1909, it is eligible for listing in the National Register of Historic Places. An icon in the hamlet of North Greece, the Hotel DeMay has served as a community gathering place and tavern/entertainment establishment for local residents for nearly a century. The property has been vacant since 2000. Today, this important community icon faces the threat of demolition to make way for a gas station and convenience store. Save the DeMay, a grassroots group, formed in February, 2017 to advocate for the reuse of the building. One of few remaining structures that represent the history of the hamlet of North Greece, the Hotel DeMay may have the potential to once again contribute to the economy and culture of Greece. 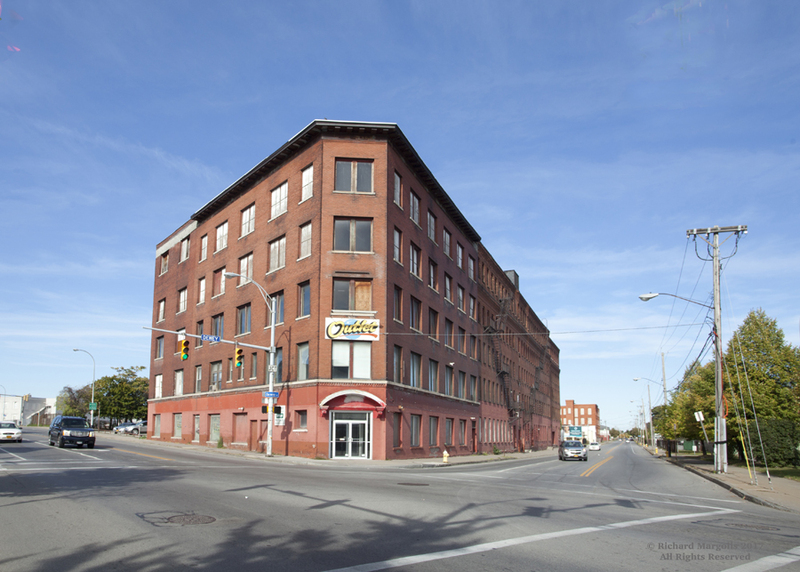 A major visual landmark in the Lyell Avenue commercial corridor, this large industrial building was originally built as the Hubbard, Eldredge and Miller Chair Factory at the turn of the 20th century. Located on the corner of Lyell and Dewey avenues, the five-story, brick building was situated along the east bank of the Erie Canal, in a thriving industrial district that included other enterprises such as a foundry, barrel works, luggage manufacturer, and lumber mill. The 1920 removal of the canal and subsequent evolution of the surrounding neighborhood resulted in new opportunities for this building. From 1959 through 1999, it was the headquarters of Tent City, a signature retail business that focused on outdoor clothing and gear. 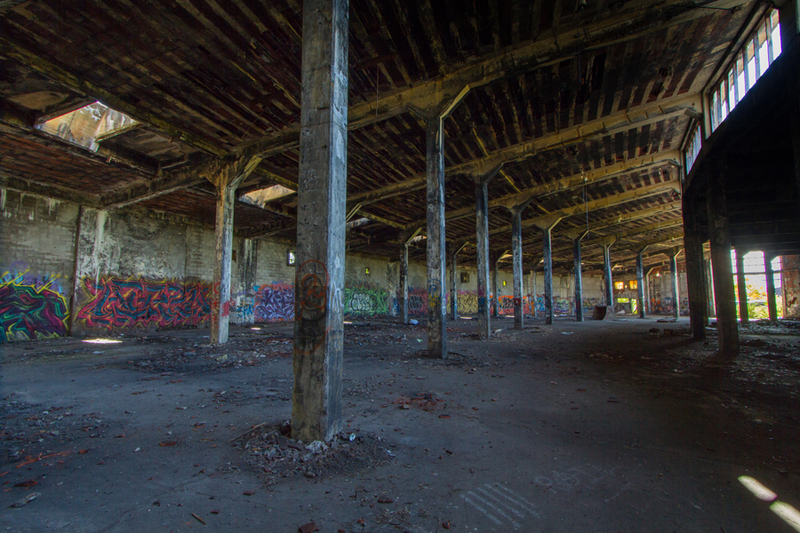 Vacant for over a decade, this prominent industrial building would be an excellent candidate for revitalization. Local residents, business owners, and supporters of the Little Italy Historic District have identified the Tent City property as a strategic opportunity for redevelopment in this historic commercial corridor. Front Porches are often overlooked as a component of our historic neighborhoods but are integral to both their appearance and their function. No matter the architectural style of the home, a historic porch is an essential part of that design, adding notes of grace, elegance, or even quirkiness. The size, location, style, and architectural detailing of the porch tell a story about the history of the home. Porches are also an extension of a home’s enclosed living spaces. They create a zone between the private world of the home and the larger public realm of the community. They invite approach and interaction. 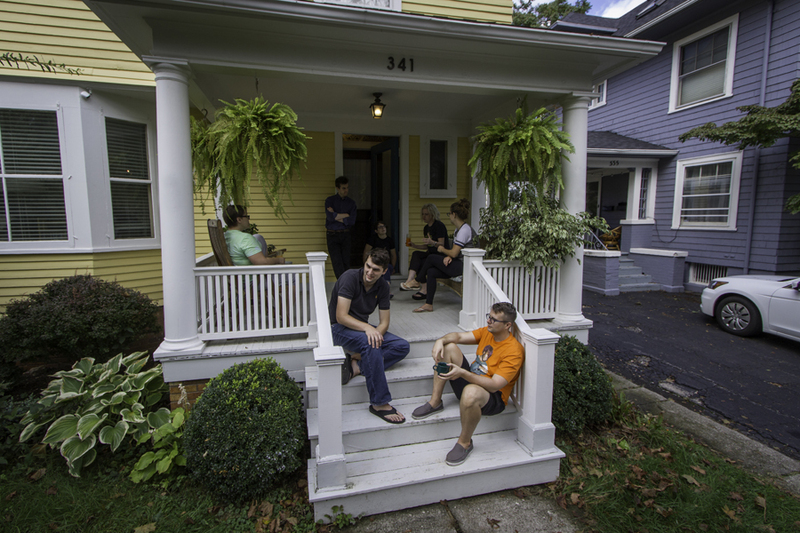 Social activity enlivens a streetscape when it is moved to the semi-public space of a porch. Occupied porches put the eyes and ears of the neighborhood on the street, increasing safety for homeowners and pedestrians. The contributions porches make to the built environment are clear. However, porches are especially vulnerable to the deteriorating forces of rain, wind, and snow. Porch maintenance and repair is often deferred; floor framing rots, details fall off, and railings sag. When these issues can no longer be ignored, repairs can sometimes do as much, or more, harm. Common remedies include applying a simplistic deck-style railing, replacing classically detailed columns with 4×4 posts, or the extreme of stripping the porch off entirely. These actions not only destroy the original character of the individual house, but they are also disruptive to quality of the streetscape and the neighborhood. Whether located in a city, suburb, village or rural town, the front porch is a defining feature of most historic homes. They require special attention to maintain and repair. It is critical for the long term preservation of our historic homes and the viability of our communities that porches are treated with sensitivity and awareness of their role and importance.